Rio Kobayashi is a self-taught designer and maker, based in East London. Kobayashi moved from Japan to Austria at 18 and completed a three-year apprenticeship in cabinet making at Wetscher in Tyrol. This introduction to the furniture industry sparked his interest in luxury design. Kobayashi was shortlisted for the Milano Design Award 2016 for his exhibition concept Back Ahead – New Austrian Design Perspectives, with only 16 out of 600 events making the shortlist. ‘I see myself as a designer with the ability to translate ideas straight into a material reality – it’s basically craftsmanship, my passion lies with artful craftsmanship,’ he says. ‘When I was at high school in Japan, I had a teacher who was on the cover of the coolest design magazine in the country because of the interior and furniture design of his home. That was when I got the idea to become a designer,’ he explains. Kobayashi started his own business in Berlin in 2013, taking on commissions locally as well as from Tokyo, Paris, Milan and London. He started working on his own series of original furniture in May 2017. 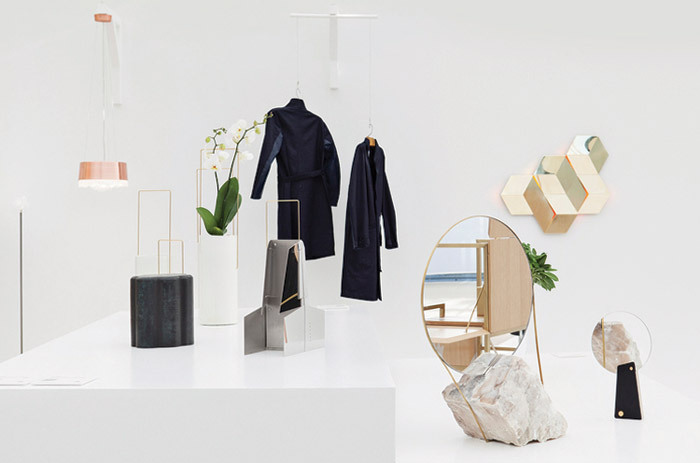 He recalls: ‘I’ve had to follow a steep path living on my own from being 18 and learned a lot about life through learning about the world of furniture design.’ Kobayashi exhibited his latest designs in the U-Joints show at Milan Design Week this year. 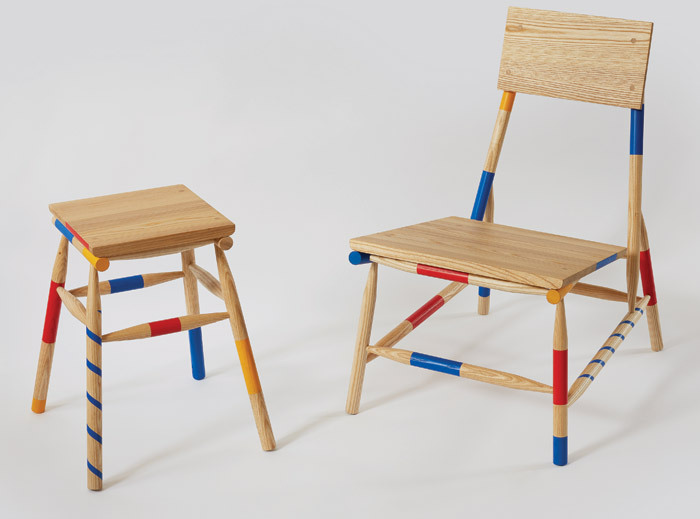 Mikadokun, Mikadochan: The chair and the stool/table were exhibited at Kobayashi’s first show at London Design Week 2017. These pieces are manufactured collaboratively by Kobayashi in East London and his brother in Japan. 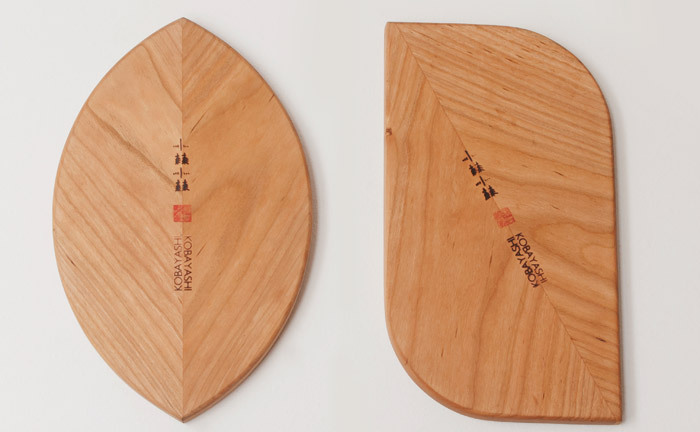 Sakura boards: The series of hand-crafted multiuse chopping/serving boards were exhibited alongside the Mikadokun and Mikadochan furniture pieces (left) at last year’s London Design Week. Villa Necchi: Kobayashi was commissioned as the project leader for the design of the beautiful Villa Necchi as part of Fuorisalone during Milan Design Week 2016, which was subsequently nominated for a Milan Design Award the same year.